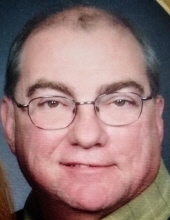 Celebrating the life of Stephen Franklin Wallace, Sr.
Obituary for Stephen Franklin Wallace, Sr.
Stephen Franklin Wallace Sr., 72, went to be with our Lord and Savior on April 2, 2019 at his home in Mint Hill, NC with his loving wife and daughter by his side. Steve leaves behind a beautiful legacy in his wife, children, grandchildren, and great grandchildren, who he loved and adored unconditionally. His deep love for Christ was humbly shown by the many lives he touched by giving Bibles, teaching Sunday school classes, leading the youth, and by the way God used him as a vessel to minister in any way he was called. Steve was active in the Lion’s Club and an avid blood donor by donating 252 units of blood, in turn, saving 744 lives. He was also an AA leader and sponsor for the last 6 years. Every Fall, you could find him buying and donating coats for many families in need. His work, for Christ, here on this earth, was countless. Indeed, his crown, in Heaven, is overflowing in jewels. Steve spent these last months being cared for by his loving wife of 25 years, Verdie Taft Wallace. He was also in the care of Hospice. He was was surrounded by his children and grandchildren, who absolutely adored him. By God’s Grace, he got to see his 2 great grandsons Barrett and Wyatt come into this world. In the past 9 months, a bond was formed between him and those 2 little fellas only Jesus could describe. Steve desired no funeral, but for his family and friends to have a celebration of his Home going and for all to continue working for the Lord and sharing the Salvation, Love, Grace, and Mercy found in Christ. His precious soul and heart of gold will be deeply missed. Our hearts can hold peace, knowing, we will see him again, one glorious day. To send flowers or a remembrance gift to the family of Stephen Franklin Wallace, Sr., please visit our Tribute Store. Receiving of family and friends, casual dress or Duke Blue Devil colors! casual dress or Duke Blue Devil colors! "Email Address" would like to share the life celebration of Stephen Franklin Wallace, Sr.. Click on the "link" to go to share a favorite memory or leave a condolence message for the family.